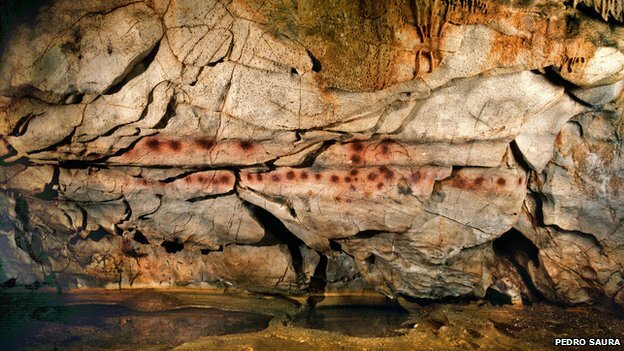 The debate over whether the cave paintings in Spain and France were done by "modern humans" or "Neanderthals" has sprung up again. As usual, the media filters the data through a Darwinian sieve and the public is left in confusion. 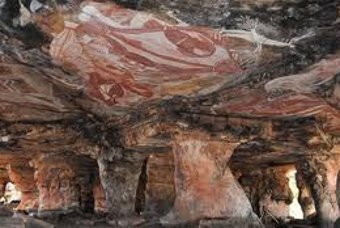 The BBC news reports that the oldest cave painting is a red sphere at El Castillo. In fact there are many red spheres or dots on the walls at El Castillo. The spherical motif is probably the oldest produced by humans and likely represents the sun, moon, stars and constellations. The image below could represent lunar phases. Compare the two images below. Other caves include the images of hands and animals. About 25 handprints, made by blowing red ochre dust over a hand pressed against the wall, date to about 37,300 years old. An image of a bison overlays the hands and was painted later. Other cave paintings include horses, though these were painted somewhat later. The El Castillo cave paintings date to when human populations moved from Africa into Europe about 41,000 to 45,000 years ago. By comparison, the oldest known cave paintings at Gilf Kebir in the Sahara date to about 6000 BC. Before the Sahara became arid, a sizeable community lived on this vast sandstone plateau near the Egyptian-Libyan border, about 400 miles from the Nile. When the climate changed, people migrated north into Europe and east to the Nile Valley. Rock paintings in the Sudan, dating to 3000 BC have been exposed to the elements, unlike the paintings at El Castillo and France's Chauvet cave (32,000 and 37,000 years). The Sudan rock paintings indicate fishing, such as evidenced at the Khormusan sites of ancient Nubia (65,000 and 55,000 years) where an abundance of fish and wild game bones were found. It is likely that humans were making such paintings in Africa, but the art has not survived or yet been discovered. The continuing discovery of African monuments such as Eredo and many ancient pyramids contributes to the picture of archaic human industry and imagination. The vertical sided ditches of Eredo go around the area for 100 miles and rise 70 feet. The recently discovered pyramids of Zinder (Niger) are believed to date to the time of the pyramids of Egypt. Aboriginal rock art at Narwal Gabarnmang in northern Australia dates to 28,000 years old, but a stone axe found at the site is 35,000 years old. University of Southern Queensland archaeologist Bryce Barker says there is evidence that the cave had first been in human use about 45,000 years ago. 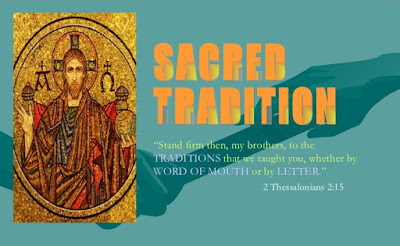 "Exactly how humanity expressed itself is less important in the end than the fact that there is a human mind and soul behind the decorated tools or rock paintings. Writing about the bad press “cavemen” were getting nearly a century ago (in his 1921 short story, "The Grisly Folk," H G Wells had portrayed them as savage and barbaric creatures who deserved their fate of extinction) G K Chesterton observed that, deep as the explorer had to go to find the pictures of reindeer drawn on cave walls by ancient man, he would have to go a long way further to find a picture of man drawn by a reindeer." Arguing about whether the El Castillo cave paintings were done by "modern humans" or Neanderthals is a waste of time and energy. Neanderthals were human and they bred with other human populations. The Neanderthal genome has been sequenced. Early comparisons indicate that humans and Neanderthals are practically identical at the protein level.